Phase III of our construction started in November! 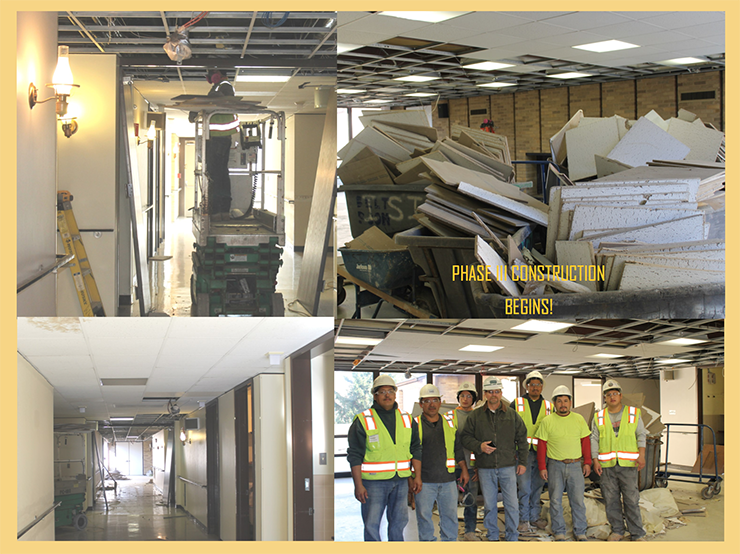 This phase includes a physical therapy and wellness area, along with renovated office space for our administration. Main Street will include a beauty parlor and coffee shop together with relaxing gathering spaces which will make our Home even more cheerful. Additionally, plans include a program where senior volunteers will have an opportunity to interact with others, making new friends and enjoying the activities in our Home. The family atmosphere so prevalent at St. Martin’s will extend to those participating in our Senior Volunteer Program. Visit us soon to see the exciting changes!